The latest offering from TRUE Linkswear is the mainstream-friendly TRUE Proto. 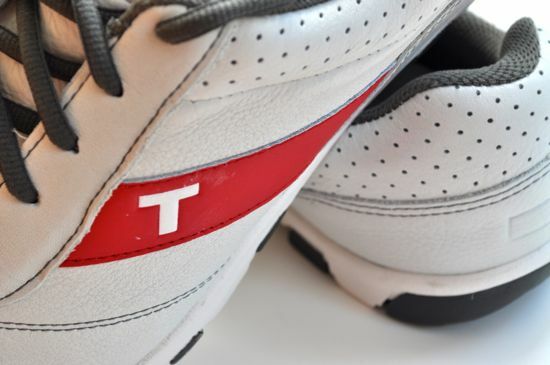 TRUE has been hard at work finding the right combination of comfort and performance while also still building a shoe that more golfers are happy to be seen wearing. The Proto has ended up being a nice combination that should make both the purist and the progressive golfer happy. If you’ve spent any time reading the reviews on fresh, it’s probably no surprise that we’re big supporters of TRUE. 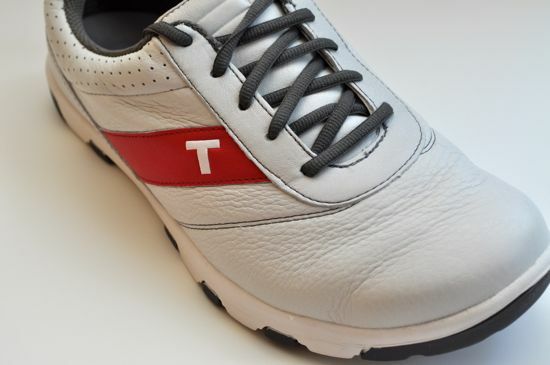 In a golf industry full of uncomfortable and poorly designed shoes, TRUE stands out as the best alternative for those of us that walk the majority of our rounds and are also looking for a shoe that can easily hold up for those 36+ hole days. At one point or another I’ve worn almost every pair of TRUEs that have been released. When I pull out a pair of shoes for a day at the club, I will almost exclusively reach for a pair of TRUEs. 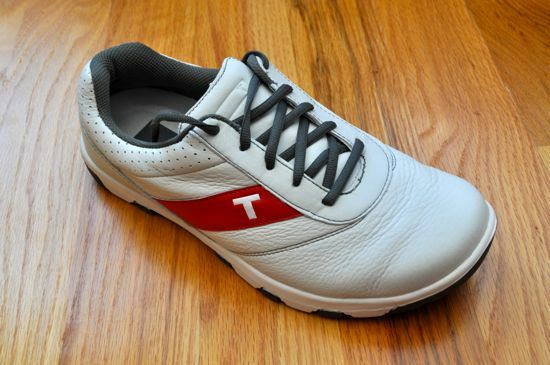 They’re simply the only company out there that is designed with the walking golfer in mind. The Protos are a bit of a departure from the classic TRUE look and will certainly appeal to more golfers than the original offerings. The Proto has more of an “everyday” look and is a shoe that you can be comfortable in on both the course and around town. 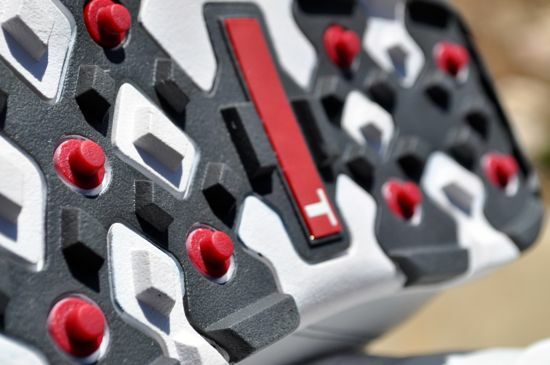 The Proto is a great cross-over shoe that can easily be worn to and from the course. 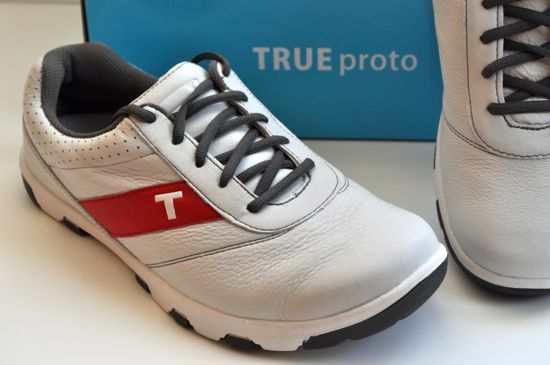 The styling of the Proto is the closest that TRUE has come to offering a casual every-day shoe. The shoe still offers a pure zero-drop profile with details that result in the shoe sporting a progressive sneaker look. The feel of the Proto is classic TRUE. 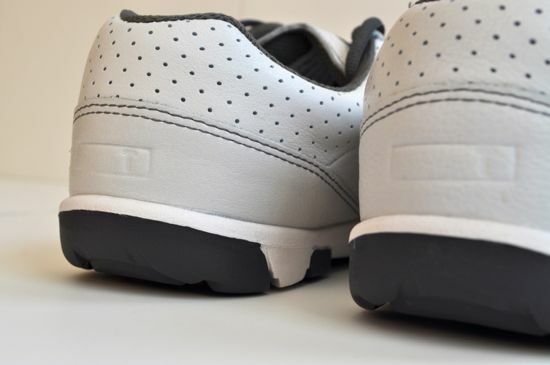 The shoe will feel wide for those coming from traditional golf shoes, however after walking a few holes the wider last results in much more comfort that you’re probably used to with ordinary golf shoes. While they don’t feel quite the same as being barefoot – they’re pretty close. 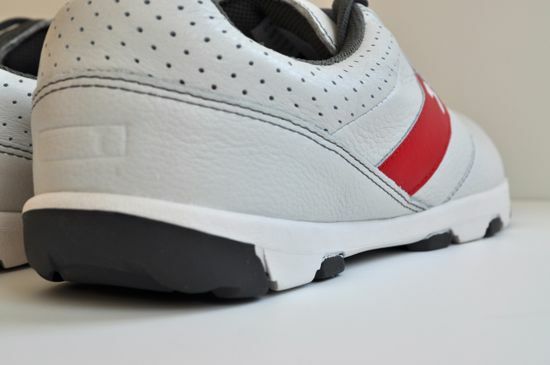 Aside from the styling of the Proto, the major notable differenceis the sole of the shoe. The Protos have a thicker sole with an updated traction pattern (taken from the TRUE Sensei) that appears to be much more durable than the other classic TRUEs. 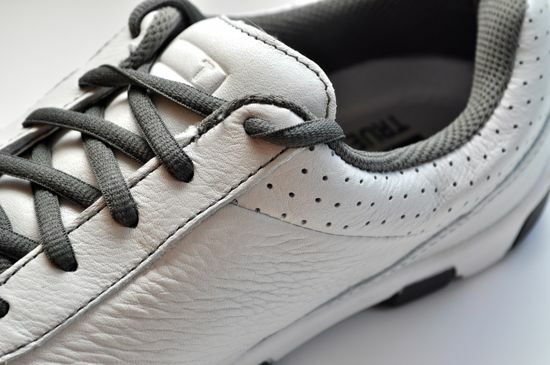 While the new sole does feel thicker, it also appears to give the shoe a longer life. After wearing down the soles out on a handful of TRUEs for the past few years, this is a welcome addition. The Protos are showing signs of being the longest-lasting TRUEs that I’ve worn this year. When it comes to comfort, there’s just no beating these shoes. 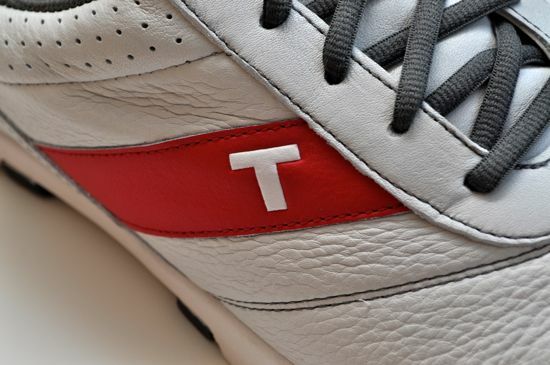 The shoes have more padding than the Stealth and Chukka while keeping the same leather throughout the majority of the shoe. 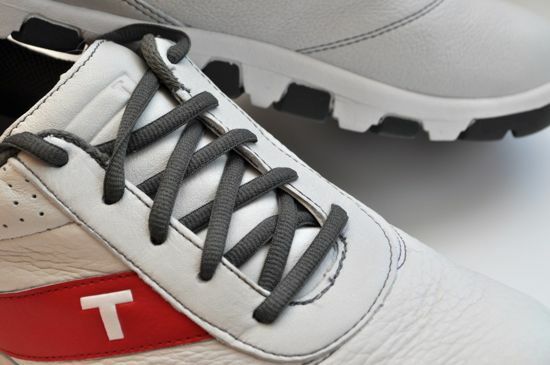 I have noticed that the downside of the soft white leather that is used for the Proto, the Stealth, and the Chukka is that it marks and scuffs easily – although the black leather doesn’t seem to shoe the wear as quickly. 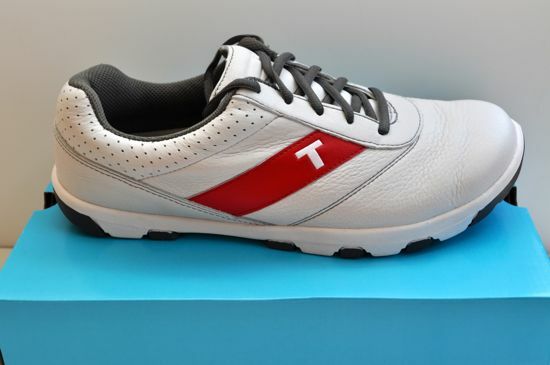 After spending the majority of my rounds over the past few years in zero-drop TRUEs, it’s very clear to me that having a flat shoe (like all TRUEs) is clearly the way to go if you’re looking for comfort in your golf shoes. After spending so much time in TRUEs, I’ve even switched out all of my casual and running shoes to those with zero-drop platforms. If you’re looking for a great shoe with progressive styling, the Proto is very likely your best bet. There’s no other shoe on the market that combines a modern look that is comfortable for walking 18 or more holes in a day. Up to this point, the longest day I’ve put the shoes through has been walking 54 holes. How did they hold up? Well, perfect. Now that TRUE is being carried by many of the large golf retail stores, get out there and slip on a pair of TRUEs and feel the magic for yourself. Wanna see more pics of the TRUE Proto? Check out our TRUE Proto album on Facebook.